The keynotes videos and interviews from the show are now on You Tube. What did Broadband World Forum have to say about OSS? And will anyone get through a presentation without mentioning SDN? Axel Clauberg, Deutsche Telekom. Because they often lead the way in Europe, you have to hear what DT is doing. And they are introducing a new buzzword: Software Defined Operator. SDN? Check! Axel raises the issue that ARPU isn’t going to increase significantly, so how do telcos invest in the necessary capacity to meet customer demand? Also, he asks if so many protocols are needed to run protocols in the future? ATM, SDH, IP v4, IP v6, MPLS, are so many layers needed if you started again today? Mentions OSS at 9mins 50sec. “The biggest pain for us as operators [because of legacy]”. Programming services without re-architecting the network. DT are modelling services and the network using a language called Yang, and employing Netconf to access network device. Ulf Ewaldsson of Ericsson focused on performance, or what Ericsson are calling #realperformance. Ulf’s presentation does a good job as a 101 introduction to modern network performance challenges. It’s an enjoyable presentation, but lacks meat if you’re looking for answers. Marcus Weldon of Alcatel Lucent tells us that we have the ability to create a revolutionary ultra-broadband network right now, but what are the motivations and the economics that need to be addressed? For one, there’s not enough agility, not enough new services being introduced by telcos (arguably only two (voice and data) in the last 100 years). SDN? Oh yes. But very briefly. “We have invented.. the technology to [deliver] 1Mbps to 1Gbps.” And the economics per bit is 100 better as capacity increases. But the need for capacity, not just coverage, means the network architecture needs to focus on more cell site density rather than spectral efficiency. Overall a good overview of the potential of the future mobile network, with plenty of data points and technology examples to back it up. Marcus also acknowledges, at the very end, that the remaining challenge is on-boarding this available technology and managing it, replacing OSS with a new cloud-OS that combines the best of IT with the best of ‘legacy’ network management. Oh, and this is a bit off-topic, but geeks of a certain age will want to hear Ian Livingstone’s opinion on broadband and gaming. Ian doesn’t mention SDN. 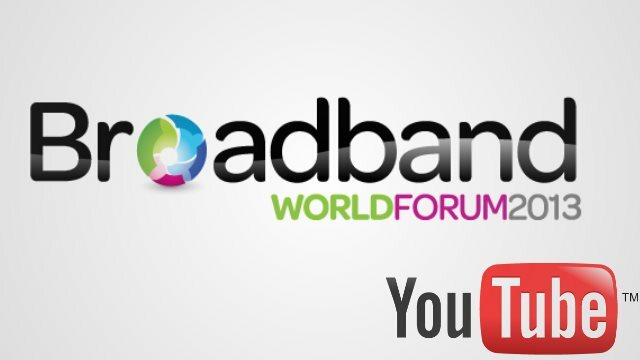 You can see the full set of video on the Broadband World Forum YouTube page. New OSS Line Stuff! Lists! Social Media!